forest house. | owl's house london. 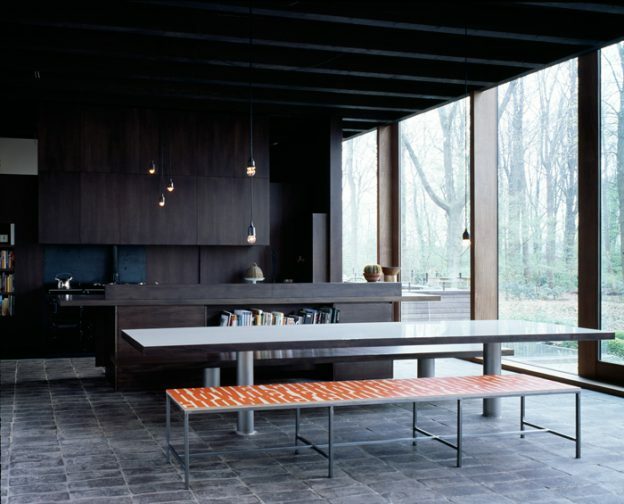 Reminiscent of house of 150 trees, this beautiful forest house is situated in a rural region of Gent. Contemporary yet traditional, the Japanese aesthetic of wabi-sabi, which celebrates the imperfect, impermanent, and incomplete, is clearly evident here. 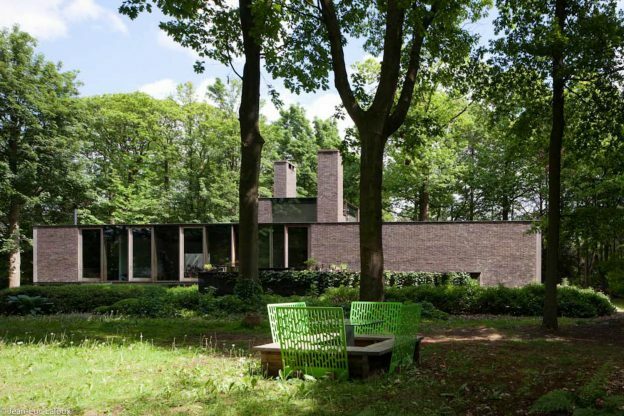 Other influences include Frank Lloyd Wright, Carlo Scarpo and Andrea Branzi, who was a friend of the architect owners, Eddy Francois and Caroline de Wolf. 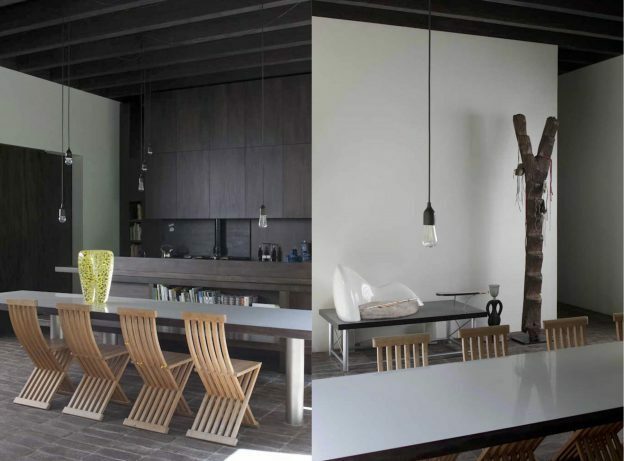 The house, as an extension of its environment, utilises natural, earthy materials. 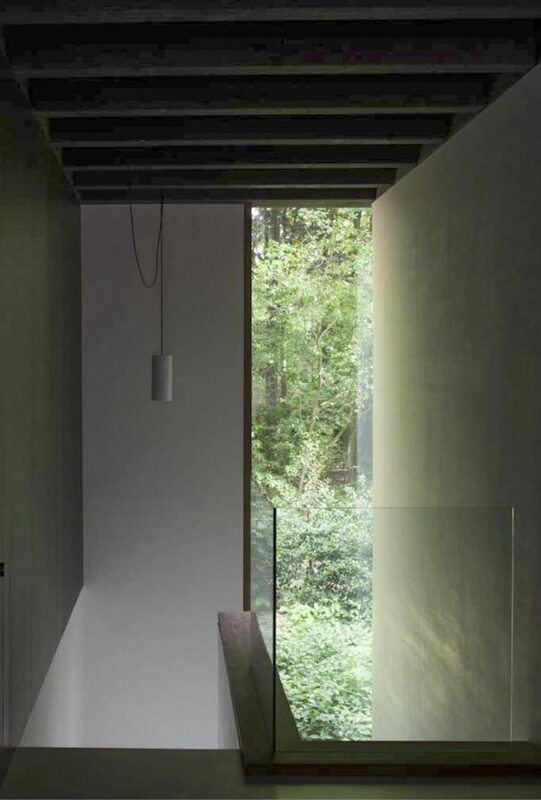 The vertical mullions of solid timber separating the floor to ceiling windows rise like tree trunks; the earth-toned, raw brick floor has the outdoor quality of a forest floor. Concrete soffits line some ceilings, others are wood with exposed beams continuing the line of the mullions. White plasterboard walls float beneath. 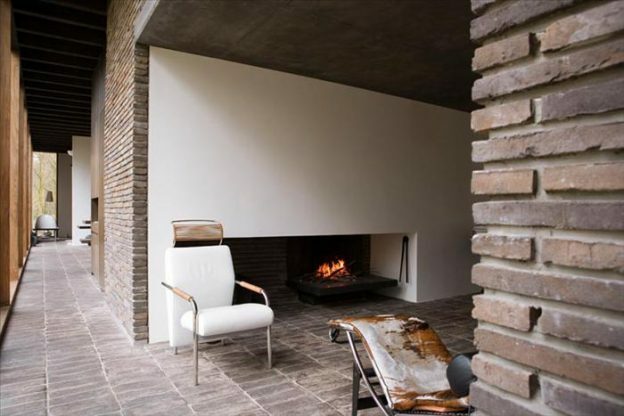 Skinny brick walls with deeply recessed mortar joints to add texture, become the structure both inside and out. Photographs 2,3, 6,7,8: Jean-Luc Laloux; image 1,5: Sarah Blee; all others, unknown. This entry was posted in wonderful spaces. 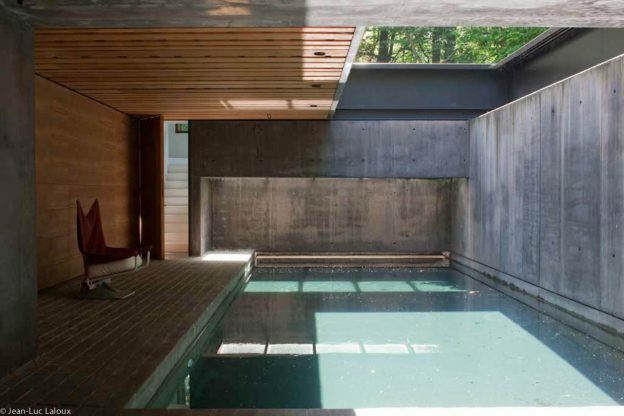 and tagged Andrea Branzi, architecture, Carlo Scarpa, Caroline de Wolf, Eddy Francois, Frank Lloyd Wright, Modernism, wabi-sabi on February 21, 2017 by owls house london..
A stunner. 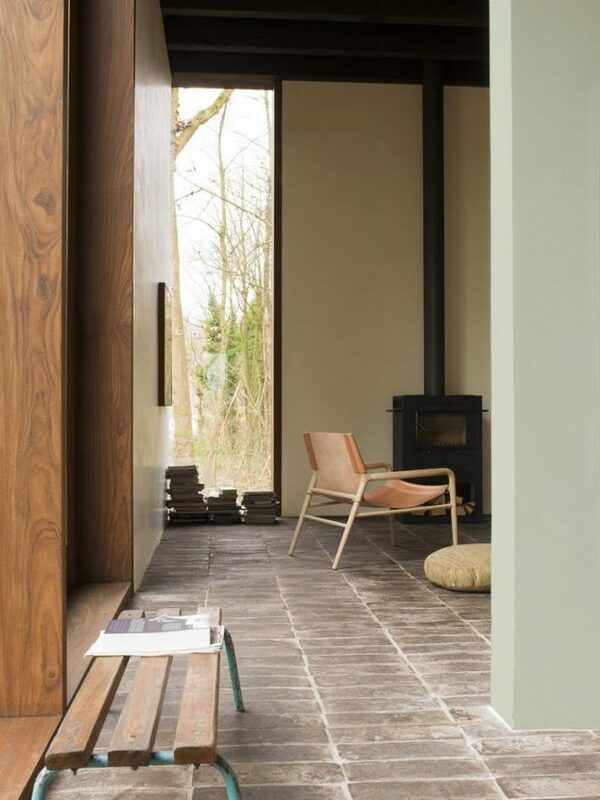 Love the finishes, especially the stone floor. Imagine your toes cavorting on that lovely, lumpy floor (preferably with radiant heat underneath). glad you like it too. the floor is lovely and would feel great underfoot especially with heating :-). thanks for stopping by.